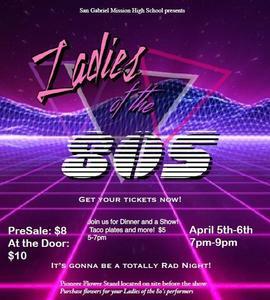 Tickets on Sale Now for SPRING SING April 5 or 6!!!! 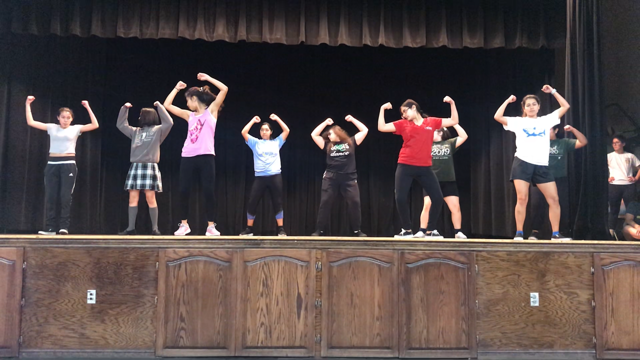 April 5th and 6th, San Gabriel Mission High School presents “Spring Sing: Ladies of the 80s.” Tickets are $10.00 at the door, or $8.00 pre-sale tickets will be available in the Business Office. Please see Ms. Sosa for purchase. The show begins at 7:00 p.m. If you would like to eat before the show, there will be a taco dinner starting at 5:00 p.m. Dinner is $5.00 per person. Flowers will also be sold at the venue. Come and share in a wonderful evening of spectacular entertainment supporting our students at San Gabriel Mission High School! 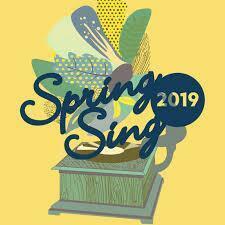 Save the Date: Spring Sing is April 5th and April 6th. The show begins at 7pm. Get your tickets now in the Business Office. And, as a reminder all performers must sell 10 Tickets. Tickets are $8 presale and $10 at the door. All proceeds benefit the performing arts programs at Mission. 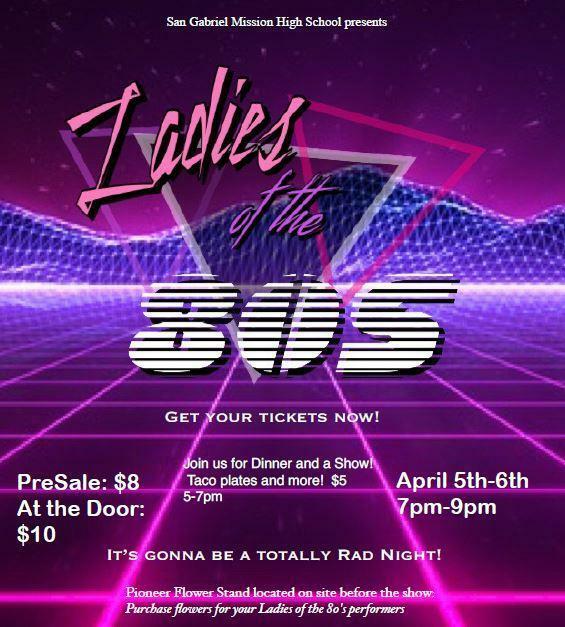 Spring Sing Fans: You can purchase flowers for your Ladies of the 80's performers at the Pioneer Flower Stand located on site before the show. 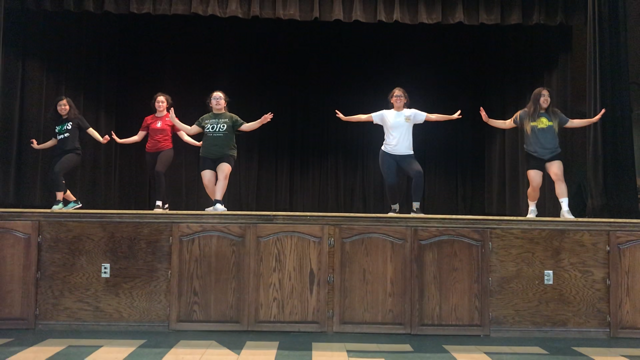 Parent hours for Spring Sing: We are in need of 4 volunteers to assist with food service for Friday 04/06 from 4pm to approximately 8pm. We also need help with concessions starting at 5:30pm on both Friday and Saturday. If you are interested please call Mrs. Sosa to sign up. 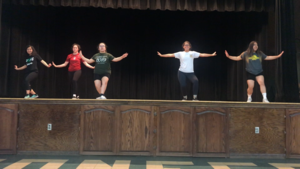 Spring Sing is also in need of donations. The items needed are listed below. Please bring donations no later than Tuesday, April 2nd. All items must have receipts - Smart N Final gift cards will also be accepted.